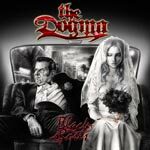 I had two hints about The Dogma: one – they’re from Italy (which meant that it might interest me, since a good number of my favorite bands are from that part of Europe) and second – the title (Black Roses), which made me think at once about some love-metal type of music. So I shrugged and said why not, I’ll give it a shot. A plus was the fact that this is a debut album and I’m always on the lookout for fresh blood. So, here we are. Although I like to start a review with the main focus (meaning the actual music), this time I feel compelled to open with the production. Having had my (many) disappointments with the Drakkar label in the past, let me just say that this is a very nice surprise – production-wise. Okay, the drums could have been injected with a little more punch (especially when you have heavy guest musician Mike Terrana (Yngwie/Rage et al) filling the spot for you), but all in all the sound is very well balanced between the guitar riffs and the heavy complex keyboard playing, with the voice right in the middle. The usual flaws present on a debut album have been reduced to a minimum, the sound is well polished and the band sounds like a real band, full sound, complementing instruments filling the bill and sounding very, very well together. So, what does this album have in store for us? At first spin I though that I wasn’t that far away with my love-metal assumption. Think more To/Die/For or The 69 Eyes rather than HIM, with huge melodies, sad or better – melancholic voice, good vocal harmonies, and an atmospheric yet so present gifted keyboard, enhancing the mood of the album. The only problem was that right from the title track opener, over this foundation came some other intriguing elements, like an operatic choir (male/female) that made me think at once of my beloved Epica. Hummm, love metal meets Goth? Same choir is present again on the fast Wicked Angels, and on Devil’s Bride, a mid-paced, more heavy-metal mainstream keyboard driven track. Daniele Santori’s emotional vocals backed by this choir turned the sound more into an epic symphonic type of sound. Guitarist Cosimi Binetti sounds like a cross between Mark Jansen (with aggressive iron-hand rhythm leading riffs) and Steve Murray (fast and very melodic solos). Tracks like Queen Of The Damned with its extended instrumental part, classic heavy metal style, fast staccato rhythm with atmospheric keyboards and good vocal harmonies blend with softer tunes like the mournful …And Julie No More with its wall of weeping keyboard or the nice ballad Maryann with its piano and strings quartet. Complex keyboards open Ghost Of War (courtesy of the talented Stefano Smeriglio), building up to a catchy chorus and an excellent guitar solo; Temptation is a modern gothic tune, in the vein of After Forever with beautiful soprano vocals and excellent guitar riff crafted into the music phrasing. Waiting For The Rain and Sands Of Time are best examples of The Dogma style, walls of melancholic melodies, numerous speed changes, powerful vocal lines and great guitar/keyboard harmonies. As you can see, it’s pretty difficult to label this music. I’d say it’s a melancholic heavy metal spiced up with gothic and symphonic elements and I’d still be leaving some open issues. This album has an incredible atmosphere; it’ll grip you from note one. An intriguing piece of work that will not leave the listener indifferent. A definite recommendation for expanding one’s horizons.